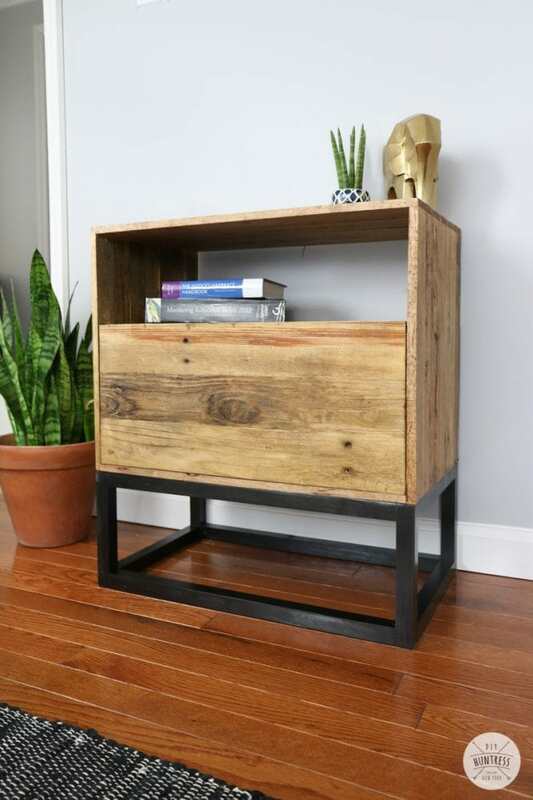 This nightstand features a cool looking base as well as a deep drawer. Build it using the free woodworking plans available at the link. Oh, and it was built using pallet wood too.